I spent a very enjoyable day at the start of the week with Al Gordon and Tim Hughes on the Worship Central worship leaders' retreat at Malshanger House, the little place in the country that HTB keep for such events. I arrived in time for supper on the first evening, followed by a music quiz. Al seemed pleased when he heard of my of my previous quiz exploits. So here we go. 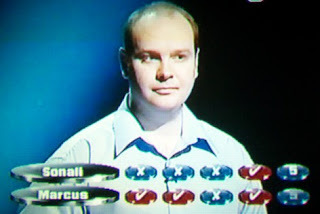 This is me with Anne Robinson on the Weakest Link about four years ago. I only entered cos another friend wanted to audition. He was never called up. Me? Well, you don't think I'd be telling this story if I came second, do you? You're right. That photo could be anyone. Let's do better. Count the ticks next to my name. For the record, the answers "ZZ Top", "Swansea" and "France", preceded by copious amounts of looking straight into the camera for effect, won me the game. So it was with enormous good grace that the assembled throng of worship leaders from all over the globe listened to my talks the following morning. And with great grace that I was able to deliver them. I am struggling through one of my periodic depressive patches. Monday was a hyper day. I've been suffering for it since. The good thing is that the patches of up and down are switching more frequently now, and as they do that, though life is a bit of a roller coaster, it normally means the depression is on its way to burning itself out. Through the night on Monday I was so hyper I couldn't sleep; still, that gave me lots of chance to pray, and that's what I mean about delivering the talks with grace - a sense of gifted answer to prayer. Just being there in that amazing place was a gift; being there with such wonderful people was a gift; being able to share some of the Salvations Song stuff was a terrific gift of which I never tire. God is good; and these hard days are filled with moments of glory to remind me of his goodness. 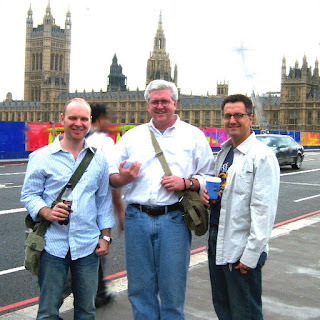 Here am I with American friends, Tory Baucum and JD Walt, in London last week. Tory and I have known each other for years - since before his hair turned grey and mine turned loose, as he once said, introducing me to preach. He is a good man, a servant of God through tough times, and is about to take on the rectorship of Truro Church in Virginia, where he will be a great blessing. JD is a newer friend. Dean of Chapel at Asbury Seminary in Kentucky, we met first a couple of years back when I went over there to teach on a course Tory was running. He has a heart for worship, and the soul of a poet. It has been my privilege to get to know him. The fourth member of our party, Mimi, is taking the photo. She was a delight - and gave me endless opportunity to talk about my second favourite subject - myself. We had a good day, wandering, seeing some art in the National Gallery, chatting theology, comparing views on American Idol. In life, God gifts us with such friends - and such precious moments - to share the deep and the trivial and to realise that in vastly different cultures we share one God who loves us all the same. Whilst I was out having the dog trimmed yesterday (and he looks great, by the way – I think I should have my hair cut now) a friend of mine was having a long blog chat about her problems with hell. And as her conversation had moved on from that initial topic by the time I got into it, I entitled my diatribe:OK – let’s go back to hell. As it were. Before I ask my first question, I think I need to point out that I ask this question because I want to engage with the Scriptures. This, after all, is what an evangelical should do, isn't it? So I realise that for many evangelicals, my question will seem strange, because we work with a system that has given reference points, but actually some of those reference points sometimes owe quite a lot to historical theology and biblical interpretation, and not quite as much to actual BIBLE as we imagine. I think hell is one of these issues. Let me ask my first question. Do people have an eternal soul? The basic answer we give to this (i.e. "yes") is a Greek answer. Because if you search the Old Testament, it is quite hard to come to that conclusion. It is quite hard to come to any conclusion about the soul from the OT, because Hebrew thinking really does not separate the soul, the "spiritual bit" of a person, from the body. The NT appears to say more, but when read with Jewish eyes (and I always think that if we have a theology that we know Jesus could not have had - i.e. a totally Gentile one, it probably needs some work) lots of those references don't come across so much as the spiritual part of a person so much as the spiritual longing of a person, which is quite a different concept. Or try St Paul. Try one of the evangelist's favourite proof texts: Romans 6.23. Sin is separation from God. Its result - death. But the free gift of God to all who trust in Christ - eternal life. So - my second question is - Where does hell fit here? If eternity is only the gift of God to the believer, where does a mediaeval hell fit here? The only need for such a place is if EVERYONE has an eternal "soul". Then there needs to be a place to put the outsider (should there be outsiders). Seems to me the Scripture again and again makes it clear - eternal life is the gift of God to his beloved children who have a share in the resurection life of his Son. Apart from that - death. Perishing. Darkness. A weeping at judgement, then, nothing. All else is a metaphor. Not a stick to beat people into the kingdom, but a sadness beyond its bounds. Jesus is the Lord of life. There can be no life beyond him. And no point in life with him, if people do not want it - for love has been over-ridden and becomes not-love. Love must be free, and must be love. Within British evangelicalism this position (or variants upon it) is held by people like Tom Wright, John Stott and other major players. And they would all be recognised as evangelicals. It comes from a desire to explore Scripture, not to avoid unseemly doctrine. Historical doctrine you see also has a context and a culture of its own - it is not per se perfect. We ourselves humbly need to recognise we may not get everything right, but we are right to ask questions and to struggle with these issues. So - I think you do not fall outside either Christianity or even evangelicalism for having questions re a classical drawing of hell. And if fear is used as a motivation to point people to Jesus by some, I have major issues with such "evangelism" - what is good news here? How many times do we see Jesus using fear as his major motivation? Healing the sick, casting out demons, telling people God is at hand, scaring the living daylights out of gullible people - one of these methods does not seem to be New Testament! I believe in God: Father, Son and Holy Spirit. Passionately. And I believe that the way to know the Father is through the Son in the power of the Spirit. And I want to help people to share in this amazing relationship of love and joy and power. I believe that the Scriptures contain all we need to help us on the way, and that God speaks to us today to help us understand his word. And that if we share this life together, as his body, we can change the world for good. I believe that being a Christian isn't about having an insurance policy for the heareafter (though I believe that this life is but an overture, and one day the hints of themes and melodies I am catching today will be revealed in fulness and glory)but about knowing God right now, making today better - for me and those around me. I believe I am here to worship him, and to draw as many with me in that life journey of worship as I can. And I believe that God is good, that he loves people, and that Jesus shows this time and time again, especially on the cross and at the resurrection. Are you in danger of falling out of his hand? His hands are too big, and too loving for that. He has made you with a wonderful mind: don't be afraid of using it or ashamed of asking your questions in his name. He loves those questions and the mind and heart that has the power and the integrity to come up with them. I've changed my mind. Let's not go back to hell. I couldn't find it if I tried. I wouldn't know where to look. There ain't no directions in my guidebook. Last week I drove the 500-mile round trip to Harrogate for the annual New Wine leaders' conference. Gloriously, as an international delegate (it's a very English thing, and being a Welsh vicar, that makes me international) I had been offered total hospitality by New Wine, which I was delighted to accept. I sometimes love New Wine, and sometimes do not. Their values of charismatic ministry and evangelical emphasis on the Bible are important to me; however it can all feel a bit culturally upper middle class, and that isn't really where I am at. 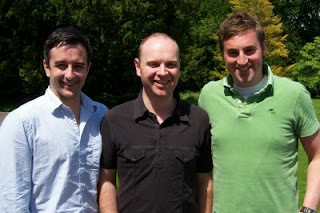 Bruce Collins is now heading up New Wine Cymru, and I like Bruce a lot. He is gloriously disorganised sometimes, but wonderfully godly, and even when I find myself disagreeing with him, (as when he was heading up New Wine's publishing arm and would'nt publish my book) I still warm to him. He rang me and asked me to go to this conference - and I am thrilled he did - it was outstanding. The main speaker was Bill Johnson from Redding in California. Of all that he said, two things stood out to me. First, a challenge on attitudes to healing. So often we focus on what God is not doing, rather than on what he is doing. So - we pray, and somebody is healed, but others are not, and we focus on pastoring those who have received nothing rather than the one who was healed. Bill questioned this in a way that seems at first offensive - "so we just leave those who are hurting?" is how I was left feeling. How can that be right? But Bill wants to see a movement away from this pastoring to an ongoing encounter with the work of God as better care of God's people. The movement away from the "why did God not heal?" question, which cannot be answered, and which lies at the heart of such pastoring, to a totally different question - "what do we do next", which can be answered, and which can point to blessing others and to generosity which itself heals when we have been left grieving - this is brilliant pastoring and great theology, and something so obvious I have never seen it before. A friend of mine put it this way. Her husband died of a brain tumour. She often prays for people to be healed, but never prays for people with brain tumours. Why not? Because if they get healed, she has to ask "Why?" again - why this person and not my husband, and all the old pain returns. If pastoring peopole who get no answer revolves around the "Why" question, this is how we are left. But now after last week at this conference, she sees that she wants to pray for people with brain tumours. What made the difference? Because she knows she will never understand why her husband died; but if she prays for someone else, they might get healed, and that family will never have to face what she has faced, and that has to be better. If she prays, there is a chance of healing, and that has to be better than no chance for someone else. It is called generosity, it is called love, it is called Christianity. It is called challenging! And life-changing, and thought-provoking and far from simple, and a real revolution in attitudes. And I found it profound and godly. So when we pray, we focus on the small answers we do see, and we pray again. And next time we may see more. Or the time after. We may never get the answer we want, but through our prayers someone else might, and that is reason enough to pray - unless we only pray selfishly? Surely the ability to care for others and turn our loss to love for others is itself good pastoral care? The "why did God not do this for me?" question may need to be visited; but not as a final destination, not as a resting place. It has no real answer, and therefore if we keep it, it will simply keep and consume us. "What next?" can have an answer, and therefore a life beyond it. Secondly, Bill encouraged us to dream dreams for our churches. If we won't who will? And if we think God will, I guess he will - but he has given us a role to play, so we should play it. So I have been praying for dreams for St Catherine's. And in my dreams, I see a worshipping community that heals people. Including me. A worshipping community that refreshes people. A worshipping community where the poorest are decked out in finery as princes and princesses in God's kingdom. A place where I get to baptise the children of those who come to faith here. Generations of faith. A place where we cannot stand for the blessing he will pour upon us. And though I will be invited out from this place, I will always preach here first what I will take out - the blessing will be first for here, and then for elsewhere. We had a tunnel of prayer one night, and I prayed in that place for more dreams for my church. I have been dreaming ever since. Lord, grant me more dreams, and more, and more. And make them real. And thank God for New Wine, and Bruce's invitation. On the terraces at Old Trafford the Battle Hymn of the Republic of Manchester soars out - "Glory, Glory, Man United! Glory, Glory, Man United! 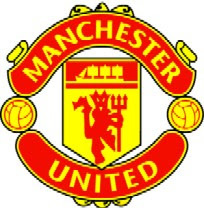 Glory, Glory, Man United! And the Reds go marching on on on!" And so they do. All Reds everywhere this morning find themselves basking in our ninth Premiership title. Ninth out of fifteen, it's not a bad record. The pundits keep writing Fergie off, and for sure we have our moments of grizzling away at him, but he's done it again for us - created a new team that is the best in the land. Chelsea's Russian Revolution has stumbled; and the Florida sunshine is shining at Old Trafford a little more brightly today. The Glazer take-over has beaten the Abramovich billions, for now anyway, and on Wednesday evening the scene will be completed as United will stroll out onto Chelsea's home turf to be applauded as champions for the first time by the Blue part of London. Who writes these scripts? Hats off to them - it couldn't possibly be any better! And for once, it feels like most people in the country are happy for United to have done it. For Chelsea have also taken the "most hated club in the land" title away from us, and I for one am happy for them to keep that a little longer. So - messers Rooney, Ronaldo, Giggs, Scholes, Smith, Vidic, Ferdinand, Carrick, Neville, Heinze, Evra, O'Shea, Brown, Van der Sar, Park, Fletcher, Silvestre, Saha, Richardson, Eagles, all squad members, and mostly Ferguson - many thanks. And here's to the FA Cup. It wasn't an accident this time. So don't worry. And I haven't been gambling, so get up off your knees, my soul is safe. It's the best fifty pounds I ever lost - not that I'm in the habit of losing fifty pounds regularly, I'm a vicar, and can't afford to do that! And I seriously hope it isn't simply mislaid, and that when I say "lost", I mean "lost", never to be re-found. For, of course, I don't mean £50 at all. I mean 50lb. Just over three and a half stone for the UK readership. Back in September I weighed in at 14 stone 10lb - 206 pounds for our colonial friends. 89 kilos. Today I hit 11 stone 2 lb - 156 pounds. 71 kilos. That's a reduction of just under a quarter of my body weight in just over seven months. Let's start with why. So I got old in November. 40. I'm short, losing my hair, fat and ageing. One of these four factors is in my control! How? Discipline. I took most sugar out of my diet - I drink a lot of Coke but switched to Coke Zero. Dessert is my favourite meal of the day - and it went. For a while completely, for a while just reduced severely. And as my friend Ricky points out, the drugs do work. As an ongoing migraine preventative I swapped from Pizotifen (side effect: weight gain) to Topiramate (side effect: weight loss) in September. The information sheet that comes with the tablets includes this helpful line: "If you are losing too much weight...the amount of food being eaten should be increased." Well, that's clear! The thing is, these tablets have given me a metabolism I haven't had since my early twenties. I can eat almost anything and not gain weight. If I just eat normally, I lose weight. So I eat well, and stay put. If I want to shed a pound or two, I eat normally - not frugally. This can't last, but for now, it's like finding the goose that lays the golden egg! And I haven't been down to this weight since leaving Aberystwyth in '99 - and that summer it was due to hard work, involving a strict diet and lots of exercise. Let's get this in perspective. St Paul talks about those people whose "god is their stomach", and when I see all the diet stuff around, I wonder if he means that as well rather than just people who simply gorge themselves. Contentment is about being happy however life finds you, because circumstance doesn't rule you. But at 40, and having given up and felt that I was now always going to be the chubby kid in the class, to get back to being my old shape again does feel good. And it makes me wonder what else have I settled for that need not be the case? Because contentment is not about settling for less. Yet sometimes as I grow older I find that settling for less becomes acceptable. These last months have shown me there is a difference, and I need to spot that difference, be content in all things, yet continue to strive for a life that settles for nothing less than all I can achieve. My church is growing a bit. Lord, grow it more. In faith and number, please. I am enjoying doing musical things again - Lord I pray for more opportunities, and more time to develop these skills again, to make the most of them, not to think that I've gone as far as I can. Suddenly there are kids here who want to grow in worship leading skills - Lord give me a passion to pass on all I have learned and imbibed over the years, that they might thrive. Losing weight - losing complacency - gaining new vigour and new contentment. And the old dog is learning new tricks.